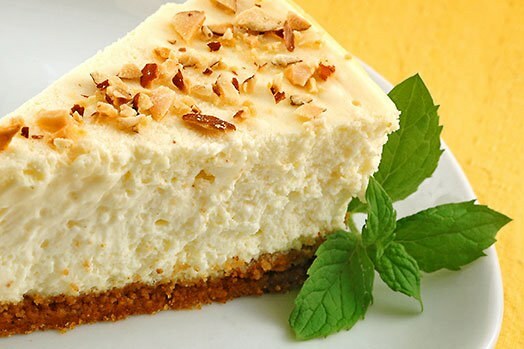 Cheesecake is not only healthy, but quite tasty dish. Airy and delicate these epithets can reward those pastries. According to the classic recipe cheesecake should be prepared for a couple, but modern Housewives prefer to bake in the oven. In any case, this pudding will appeal to both adults and children, especially if you water it when filing on the table with sweet syrup or jam. 15 g of seedless raisins. Wipe the curd through a sieve. Connect it with the semolina, add sour cream and mix thoroughly. Instead of semolina you can use the breadcrumbs. Cheese preferably to take fat. Separate the yolks from the whites. Mash the yolks with the sugar and butter. Pour the egg mixture into the cottage cheese and mix thoroughly. Chop the candied fruits and nuts. Add them and the raisins in cottage cheese. Beat to a froth the egg whites and, with continuous stirring enter them in cheese. That is the beaten egg whites give this dish a delicate and lush texture. Lubricate the form of butter and sprinkle with sugar, lay it in the prepared mass. Cover the form with a lid and place the pudding on to cook in a water bath until ready. Usually it takes 40 minutes. The outside of the cheesecake should have a soft, slightly hardened, but not crispy crust. Inside, this dish should be juicy. The finished pudding cut into portions and serve with jam, condensed milk or sour cream. Prepare curd pudding with apples. Connect the grated cheese with the semolina, beaten egg yolk and mix. Whisk the whites to a froth and gently fold into the mass. Divide the cheese into two parts. Peel the apples peeled, grate them and add sugar to taste. To apples, add a little ground cinnamon. Put half of the curd mass into a greased form, then add the grated apples, and then the second part of the cheese. Put the form in preheated oven and bake for 35 minutes. Leave the pudding to cool in the switched off oven, then he will not settle. Remove the cakes from the mold, cut into pieces and pour any hot berry sauce. Separately you can apply jam or sour cream. Cheesecake when baking is quite rises, but as it cools down it will fall, so serve it to the table hot or warm.